Losing a loved one is almost guaranteed to cause a shock, regardless of how anticipated the death was, and trying to cope with the physical absence of the person is typically at the forefront of survivors’ minds in the days immediately following the passing – not necessarily the specific contents or existence of an estate plan. When the practicalities of closing the deceased’s personal and financial affairs become necessary, the full extent of one’s life starts to become known, including the types of property he/she possessed. The kinds of property a person owned, as well as the way it was titled, have a direct effect on the process needed to legally distribute the property to heirs. Some property may be subject to probate, the legal process that controls how property is distributed after death. 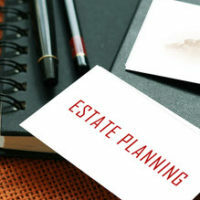 To many people, it may not seem important whether property is distributed through probate, and in some cases, probate may be a good option, such as when there is a dispute over the will or of property ownership. However, knowing whether probate is required has a direct effect on when and how the actual property transfer can take place, who can make claims to it, and who potentially has rights of ownership. A discussion of what property is governed by probate, and how to title probate property to potentially avoid the need for this process, will follow below. What Counts as Probate Property? life insurance or brokerage accounts that have the beneficiary listed as the deceased or his/her estate. Consequently, probate often includes minor belongings as well as large assets a person owned during his/her lifetime. The probate process may be abbreviated or even unnecessary under certain circumstances. What Happens When a Person Has Little or No Probate Property? Probate may delay the transfer of ownership, and in some situations, even result in the distribution of property in a manner contrary to the deceased’s wishes. One way to avoid this uncertainty, though there may be a number of other ways to achieve this result, is to title property in a specific way so that probate is unnecessary. Owning property in joint tenancy (tenancy in the entirety for married couples) is an easy way for couples and family members to avoid the courts when a person dies. Property owned by joint tenants automatically passes to the surviving owner without the need for probate. Assets with named beneficiaries also avoid probate. Many types of assets can be titled jointly or with designated beneficiaries, including bank accounts, brokerage accounts, retirement accounts, annuities, life insurance, etc. Property titled in this manner will ordinarily avoid probate altogether, and provide the fastest, and least expensive method for the distribution of property. Assets that pass in this manner will also not be subject to the payment of the creditors of the deceased. The probate process can be complex and technical. When a loved one dies, any family member trying to sort out the estate of a loved one should consult with an experienced estate planning and probate attorney to determine what legal process is necessary. William Rambaum, P.A. specializes in helping seniors with estate planning and probate issues, and can help you set up an arrangement that reflects your wishes and the needs of your family. Contact the Oldsmar office today to schedule an appointment.